Regarded as the most innovative sports and fitness clothing line in the world today, Under Armour is extending its reach in the Philippines as it launches a new brand house in Metro Manila. 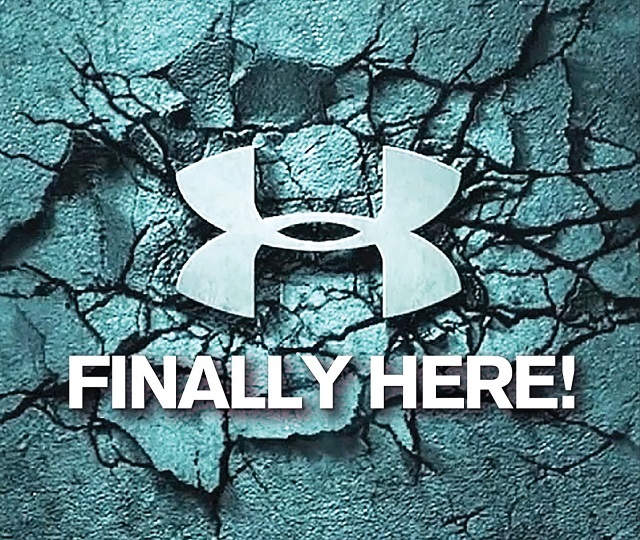 Under Armour will formally open a branch at Level 3 of the TriNoma Mall in Quezon City today, August 12. The grand opening event will be held tomorrow, August 13, with Philippine Basketball Association (PBA) superstars Asi Taulava and Jervy Cruz serving as special guests. Taulava, a Filipino-Tongan cager who has been strutting his wares on the PBA court for 16 years in five different teams, copped the league’s Most Valuable Player trophy in 2003 and led the Talk 'N Text Tropang Texters to the All-Filipino Conference title in the same year. Known by his moniker “The Rock” due to his prowess in the shaded lane, Taulava likewise represented flag and country in international competitions as he suited up for the Philippine national team on several occasions. And now, he is currently the starting center of the NLEX Road Warriors. Meanwhile, Cruz rose to prominence in the collegiate ranks when he steered the University of Santo Tomas Growling Tigers to the UAAP Promised Land in 2006. Proving that skill could topple height, Cruz managed to elevate his on-court stature as a legitimate inside threat in his first few years in the PBA , now part of the most prominent PBA team in the country- Ginebra. Taulava and Cruz will be offering a special treat to Under Armour aficionados as both men are slated to conduct a basketball clinic on August 13, 4:00pm, at the TriNoma activity center. Aside from Taulava and Cruz’s free basketball workshop, Under Armour fans will also be given a chance to unleash their inner Stephen Curry with the UA Basketball Shootout Challenge, where qualified contestants will go head-to-head by showcasing their three-point shooting skills. In order to join the basketball clinic and UA Basketball Shootout Challenge, a single receipt purchase of at least P2,000 from August 12 to August 13 at the Under Armour TriNoma brand house will earn an exclusive pass to the festivities and a chance to take home awesome prizes. Under Armour’s TriNoma brand house, the sporting apparel’s fifth branch in the Philippines and fourth in Metro Manila, is expected to have the top-of-the-line Curry 2.5 and the highly-acclaimed UA Charged Bandit 2 on its shelves. Designed for NBA’s most prolific point guard, Curry 2.5 is molded in synthetic upper that is wrapped closely around the foot for a lightweight and precise fit. In addition, Curry 2.5 has an external PU shell that provides durable support and structure as well as an external shank and heel counter that delivers locked-in stability through heel, arch and forefoot to maintain balance. Make sure to follow Under Armour Philippines via @underarmourph on Instagram and Twitter as well as Facebook atwww.facebook.com/underarmour sea.